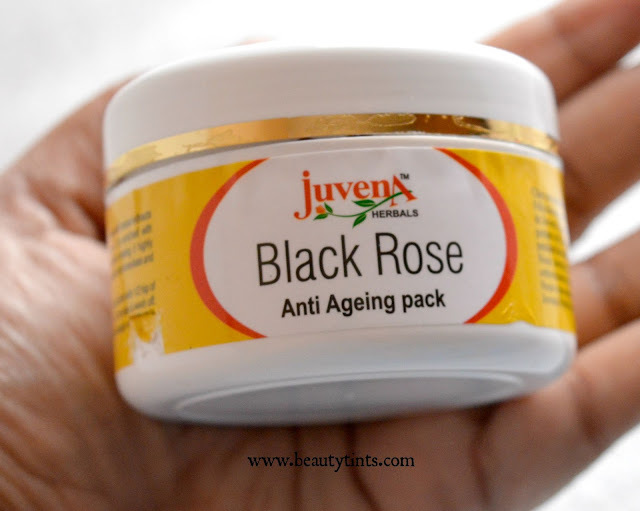 Sriz Beauty Blog: Juvena Herbals Black Rose Anti-Ageing Pack Review!!! 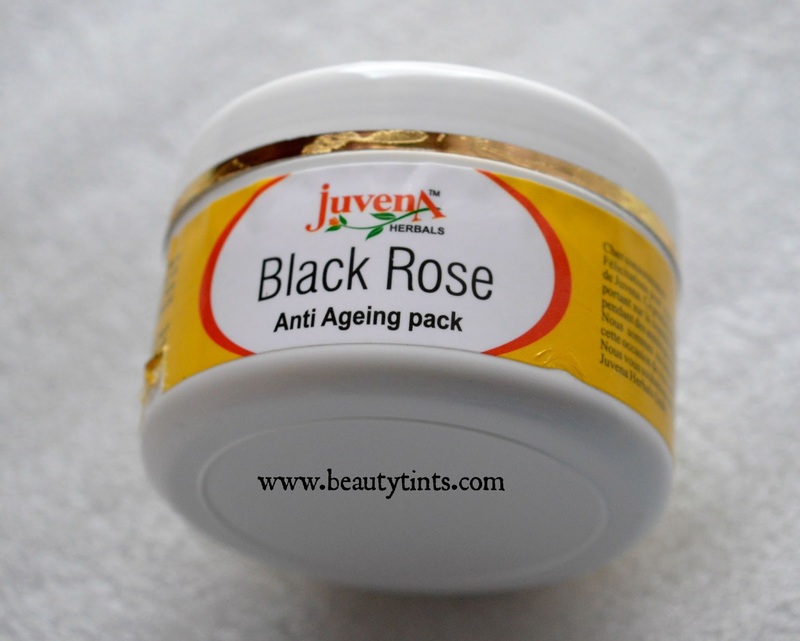 Juvena Herbals Black Rose Anti-Ageing Pack Review!!! 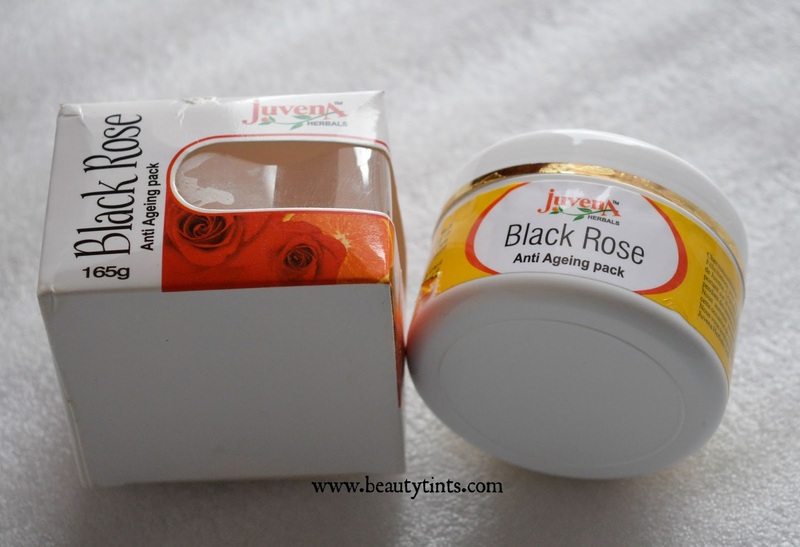 As a part of Face pack Series I am back with the review of one more wonderful Face pack which is Black Rose Anti-Ageing Pack from one of my favorite brands Juvena Herbals.If you have been following my blog regularly,then you would have seen many Juvena Herbals Product reviews on this blog before and this is one of my favorite face packs from this brand!!! 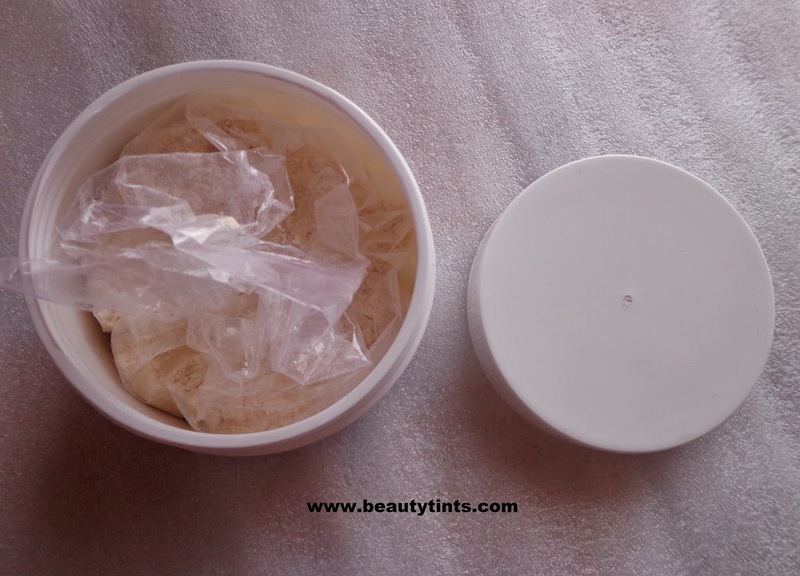 Packaging : It comes in a tub packaging with a screw cap with in a outer carton. Color and Texture : This is a reddish brown colored textured pack. 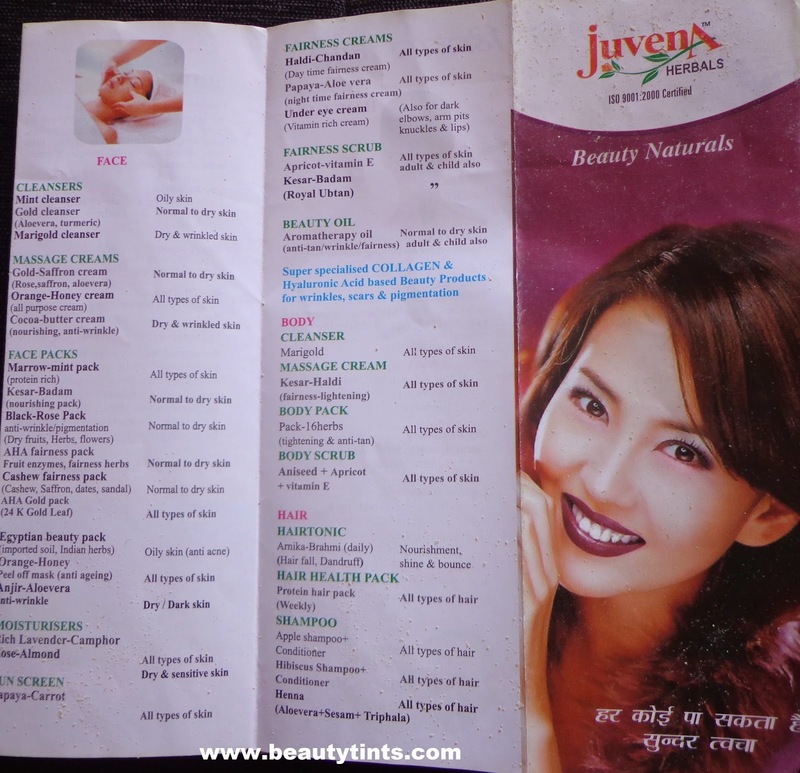 How it Works : Juvena's most popular anti-Pigmentation, anti-wrikle/anti-ageing pack is loaded with herbal extracts of Lodra, Manjishtha, Bealgiri, Majuphal, Rasonth, Almond, Chironjee and Honey. This pack is cooked in juice of Sugarcane. 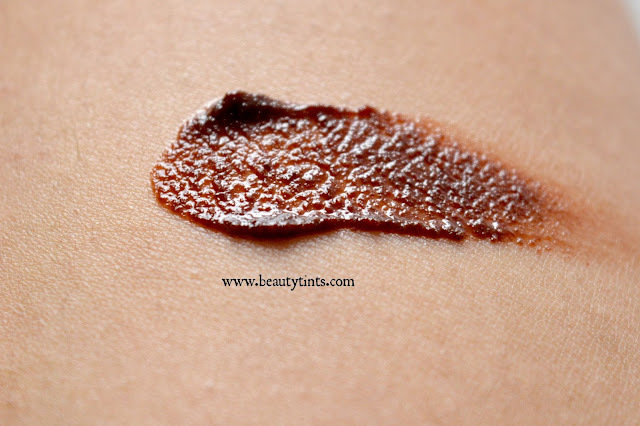 It is enriched with essential oils of Ylang-Ylang ,wheatgerm and beauty minerals , making it highly effective as anti-pigmentation, anti-ageing, anti-tan Pack. The results are immediate and long-lasting. 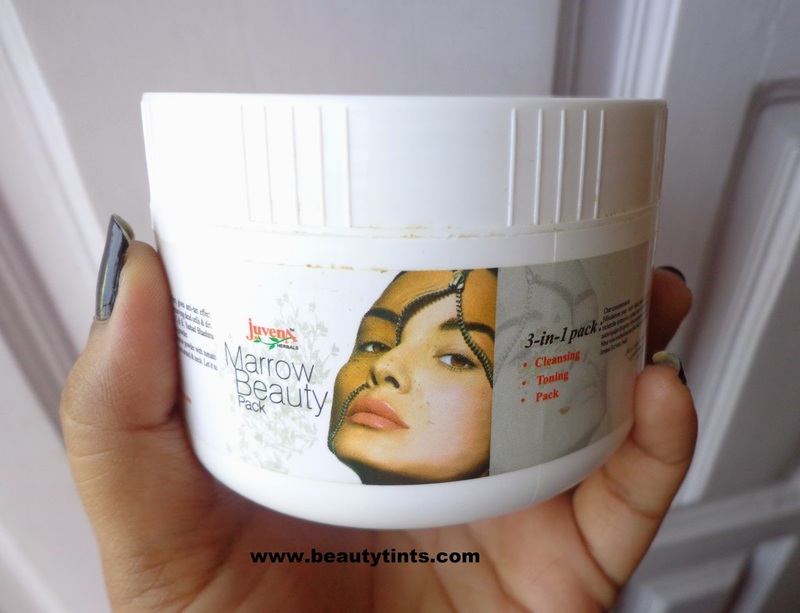 Active Ingredients : Herbal extracts of Lodra, Manjishtha, Bealgiri, Majuphal, Rasonth, Almond, Chironjee and Honey. Directions : Clean skin with Juvena's Marigold/Gold Cleanser.Take out 1 tsp of Black-Rose Pack, dilute with half tsp milk.Apply all over face and Neck (leave under-eyes area), leave for 15 minutes. Wash off. Wipe the area with moist cotton and again wash.To increase the effectivity of Black-Rose Pack, apply Juvena's Bridal-Ubtan after washing it. After Bridal ubtan, apply Orange -Honey Massage cr. and massage for 5 minutes. Leave the cream for another five min. Wipe and wash the face. Apply lavender-Camphor Moisturiser. 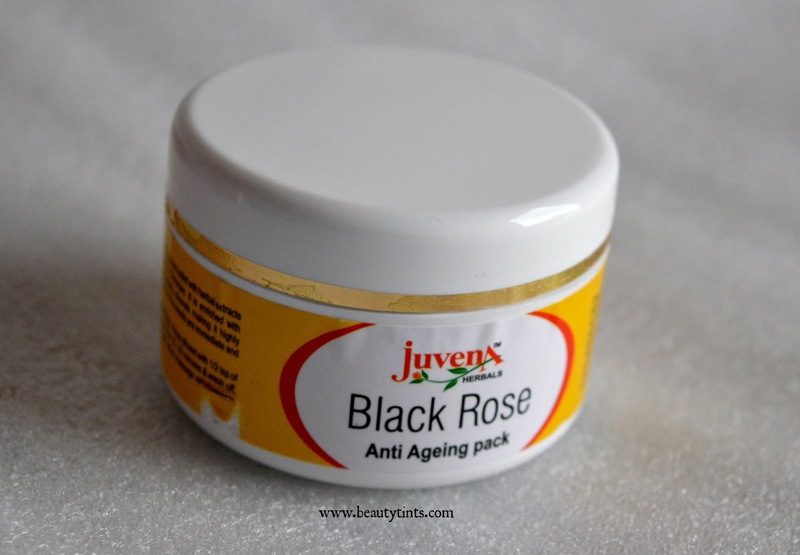 My View On the Product : I have just entered into my late 20's and I thought it is the right time to start using the Anti-ageing products and recently I started using this Black Rose Anti Ageing pack from Juvena Herbals! 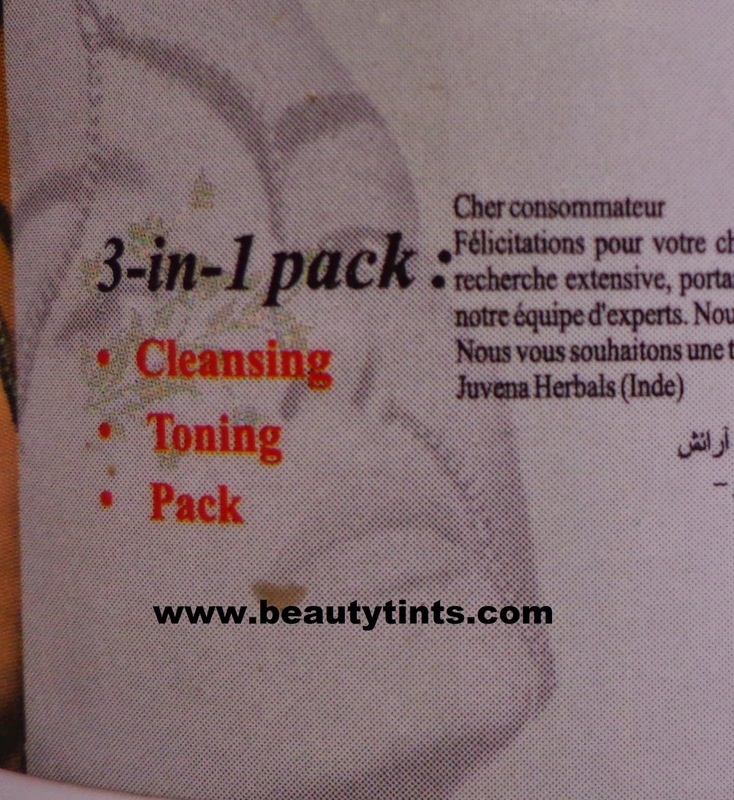 I also have a mild pigmentation on cheeks and this pack also claims of reducing pigmentation on continuous usage.This pack has a very typical texture and consistency.It looks similar to grounded coffee powder paste and has a fragrance of concentrated cane juice,I like the fragrance.I am using this once in 15 days and I use this after cleansing it with marigold cleanser,which I will review it in few days. 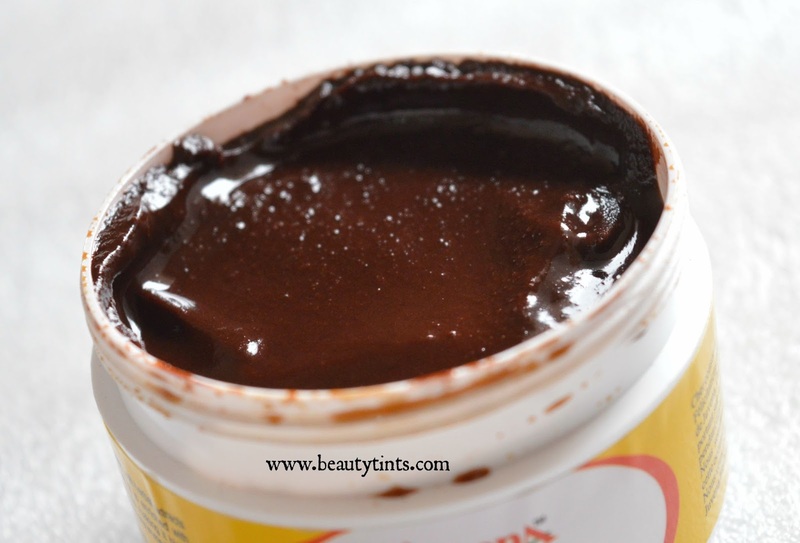 This has to be diluted with few drops of milk and has be applied all over face and neck.It gets dried with in 10-15 mins and gets rinsed of easily.It is a bit sticky like the sugar syrup,may be due to the sugarcane juice and when massaged with wet fingers,it removes all the dead skin and tan similar to a peel off mask.As a result the skin becomes squeaky clean and radiant with a natural glow.It removes tan excellently and can be used as a quick fix for tanned skin. 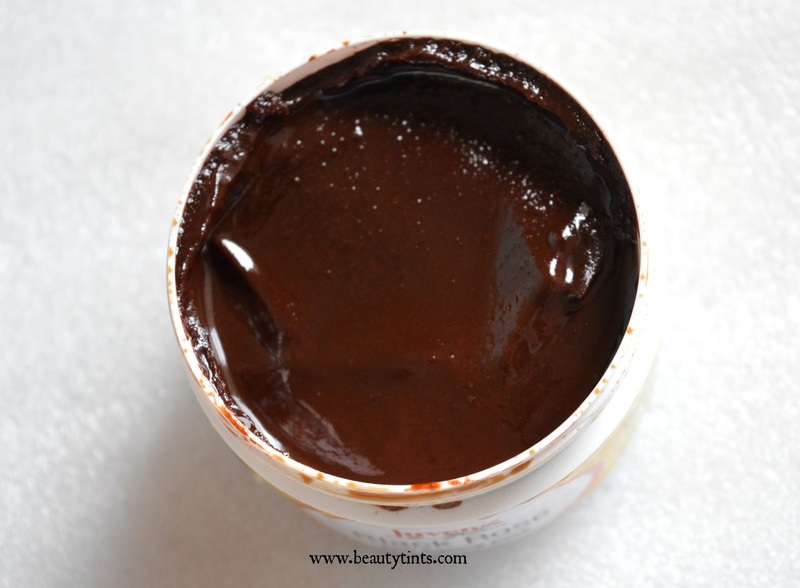 It can also be used on the body as well,though I didn't try it.It does help in tightening the skin as well.I need to use it for some more time to know how it works on pigmentation.It contains the goodness of herbal ingredients like Lodra, Manjishtha, Bealgiri, Majuphal, Rasonth, Almond, Chironjee and Honey. 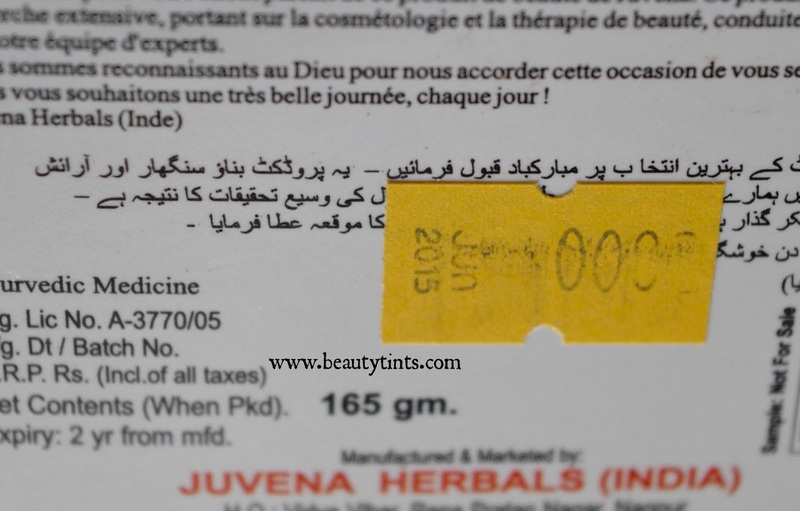 It is free from parabens and other harmful ingredients.This is a wonderful pack,which can be added to pre-bridal skin care regimen kit.It is super affordable for the quantity it comes and the result it gives!!! Final Conclusion about Black Rose Anti-Ageing Pack : One more excellent product from the house of Juvena Herbals and I highly recommend it to those who gets tanned frequently and to those who are about to start their anti-ageing skin care routine!! !